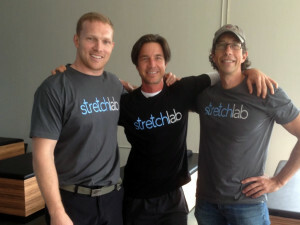 StretchLab offers 1-on-1 personalized stretching performed by certified professionals. Their goal is to improve flexibility, enhance movement, reduce pain, and improve quality of life through passive stretching. Many people understand how important stretching is, but few people do it as often or as well as they should. StretchLab is designed to help you get a better, deeper stretch. And it feels great. In addition to improving your general mobility and flexibility, StretchLab can also address specific work or sports related tightness, soreness or muscular imbalances. Make an appointment (310) 450-2510 or just stop in today! Studies have found that a regular stretching program may actually enhance performance, making people stronger and increasing their endurance. One study out of LSU showed that stretching did more than just increase range of motion but actually increased athletic performance, with some participants having quite measurable improvements. Some believe that stretching affects muscles in a similar way as strength-training but on a smaller scale, activating some of the same things in the cell that exercise activates.